While others have attempted to use plastic in concrete, the plastic often weakened the material, instead of making it stronger. But the team saw a possibility in a stronger material upon learning that plastic will strengthen when exposed to small amounts of gamma radiation. Some MIT students have found a way to create stronger, more environmentally friendly concrete. A team of undergraduate students have learned that exposing plastic flakes to small amounts of gamma radiation, grinding them into dust and then mixing the dust with cement paste and fly ash will produce concrete that is up to 15 percent stronger than a traditional mixture, MIT News reported. Research revealed that substituting just 1.5 percent of concrete with the irradiated plastic can significantly strengthen the material. 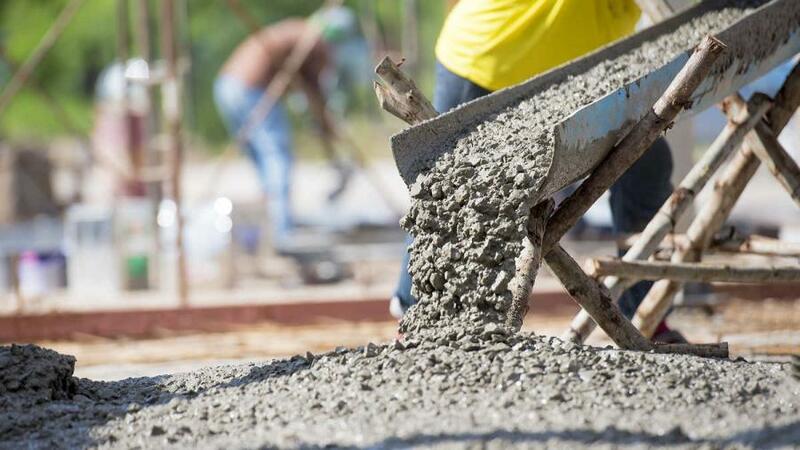 “Concrete produces about 4.5 percent of the world's carbon dioxide emissions,” said Michael Short, assistant professor of MIT's Department of Nuclear Science. “Take out 1.5 percent of that, and you're already talking about 0.0675 percent of the world's carbon dioxide emissions. That's a huge amount of greenhouse gases in one fell swoop. The team chose to find a way to create a stronger, plastic-infused concrete as a class project. While others have attempted to use plastic in concrete, the plastic often weakened the material, instead of making it stronger. But the team saw a possibility in a stronger material upon learning that plastic will strengthen when exposed to small amounts of gamma radiation. The students used a colbalt-60 irradiator, which emits gamma rays typically used to decontaminate food, MIT News reported. The team then tested samples of the irradiated plastic mixed with concrete for strength, comparing them with samples of regular concrete and concrete mixed with non-irradiated plastic. The samples with the non-irradiated were not as strong as those with no plastic, while the concrete mixed with the irradiated plastic and fly ash made the mixture up to 15 percent stronger, MIT News reported.